I have a PhD in Chemistry and an Associate's degree in General Studies. I have tutored high school and college level students in chemistry, physics and math for the past 13 years with proven results. Many students have told me that I was able to explain a concept to their understanding much easier and quicker than their current teachers. I also try to make learning fun and exciting whenever possible. In addition, it may direct them towards a career in science, filling the growing future need in the United States for scientists and engineers. My teaching philosophy focuses on a very hands on approach. I like to capture the student's interest by focusing on real world applications, prior to lecturing and explaining chemical theories or principles. I find that this approach enables students to retain the learned information long after they have left the classroom. I have experience in a multitude of settings, including academic teaching/research, industrial research and consulting. I believe my diverse background enables me to connect with students having various interests and experience levels. I have a PhD in Chemistry. I teach chemistry at Northern Virginia Community College, and I have been tutoring students in Chemistry for over 15 years. I excelled in all math subjects in high school. I have a PhD in Chemistry. I excelled in Prealgebra in junior high school. I have been tutoring students in Prealgebra for over 15 years. I took Precalculus in high school and received an A. I also took several Calculus courses in college. I have been tutoring students in Precalculus for over 15 years. I took Trigonometry in High School and received an A. I also took four advanced math courses in College. I have been tutoring students in Trigonometry for over 15 years. I have a PhD in chemistry from the University of Virginia and worked as a synthetic organic chemist. I have tutored Organic Chemistry for 12 years. My junior was struggling with AP Chemistry. Since starting her weekly sessions with Eric, her grasp of the material has deepened immensely. She was thrilled when she saw that her course grade improved from a C to an A- overall. Highly recommend! Mr. B. 's first lesson with my daughter helped her understand the material that had been baffling her. In a short time he was able to make it clear and understandable. 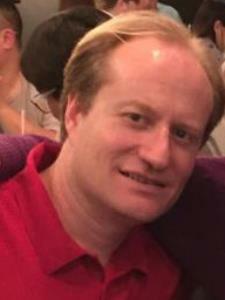 Eric has a Ph.D. in Chemistry from University of Virginia and teaches Chemistry in a college. My family calls him Dr. B. He tutored my son, a junior in high school, for AP Chemistry for the first time and he is excellent. Eric has a very strong command of the subject matter and a clear and understandable teaching style. We look forward to working with him. Eric tutored my daughter in Chem Honors for the last month. He has been a fabulous tutor...patient and knowledgeable. Would highly recommend him for high school chem tutoring. My daughter's grades improved tremendously...only wish that we hired him earlier in the year! My daughter had a C+ in Chemistry when she started working with Eric and with his help brought her grade up to an A and performed extremely well on the Chemistry SOL. Another great Lesson with Eric! Provided great understanding on Chemistry concepts to prepare for upcoming test. Very pleased with sessions. Helped her finish the year with a Bang! My student was able to raise her grade a whole grade point working with you this year. The full year review (2 sessions) in preparation for the final were really critical. Thanks so much for the great tutoring and FLEXIBILITY in scheduling! Very knowledgeable about the subject matter. Knows the subject matter out right and need not take time to figure things out on the spot. Wish I have engaged him earlier. Takes some time to book especially when the AP exam is right around the corner.